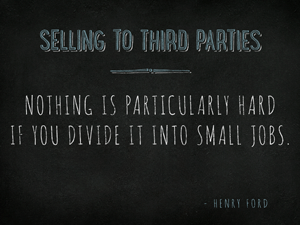 Selling to third parties may come in the form of a stock purchase, asset purchase, or a merger. The buyer may be a competitor of the target business, a company in a similar market looking to expand into the seller/target business’s market, an investment fund, or a wealthy individual. There are generally two types of purchasing third parties that differ in motivation. There is the strategic buyer and the financial buyer. The strategic buyer uses cash and/or equity to acquire the business and does not need financing. The strategic buyer often has a limited role in the existing management of the business. For these buyers, cultural issues and synergistic considerations are important in determining price and are used to enhance a strategic buyer’s market value. This buyer will likely operate the business as part of its organization on a stand-alone basis or may integrate it into an existing business. Lastly, the strategic buyer often has familiarity with the target’s business. We believe in understanding a seller's motivation for selling his or her business, in order to provide counseling and help find the best fit between the client and a prospective buyer. Selling to third parties may come in the form of a stock or asset sake or a merger. The buyer may be a competitor, a company in a similar market, an investment fund, or a wealthy individual. There are generally two types of purchasing third parties that differ in motivation. There is the strategic buyer and the financial buyer. On the other hand, the financial buyer uses cash as consideration, significant acquisition debt as leverage, and may look to pay part of the consideration with notes. This type of buyer requires management continuity and provides strategic and financial oversight. The pricing is driven with an eye on cash flow and the investment horizon is typically short term. The financial buyer typically owns other companies unrelated to the target’s business and may have limited knowledge of the target’s business.